When celebrities die – Why are we still so ‘shocked’ by death? 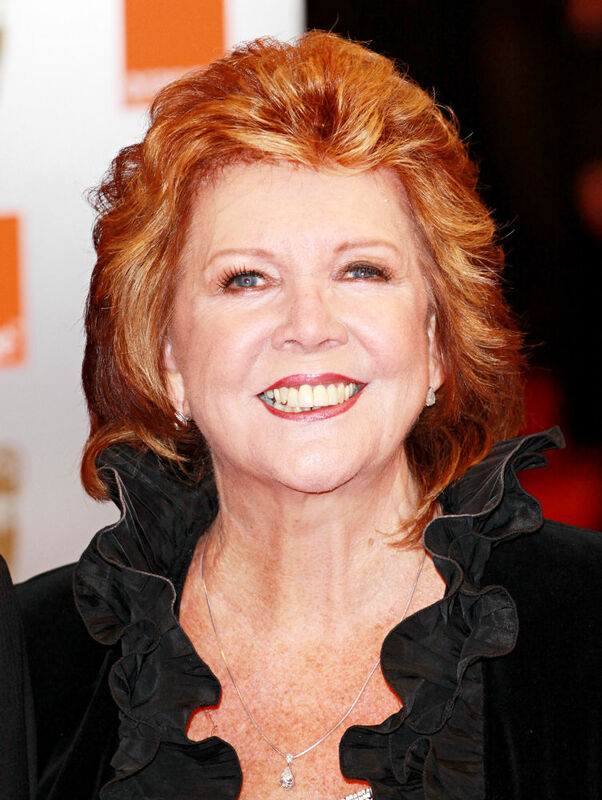 Yesterday, the news reported that Cilla Black – one of the UK’s ‘national treasures’ of entertainment, had died. The Media was ‘shocked and saddened’ by the news. Then social media saw a flurry of posts as people shared their own ‘shock’ at her death. An unexplainable sadness hit a great many people on hearing of the death of Peaches Geldof. But is it unexplainable? Some feel surprised and uncomfortable that they become part of a collective grief over someone they never met. Others show annoyance that such a fuss could be made about one person when there are so many people suffering in the world. Both reactions are natural, as are the vast spectrum of feelings around and in between them. Emotions can be intensified because of sad news – the fragility of life; reminding us of our own losses; love and appreciation for those around us strengthened. New life lessons are learned and our young people educated. 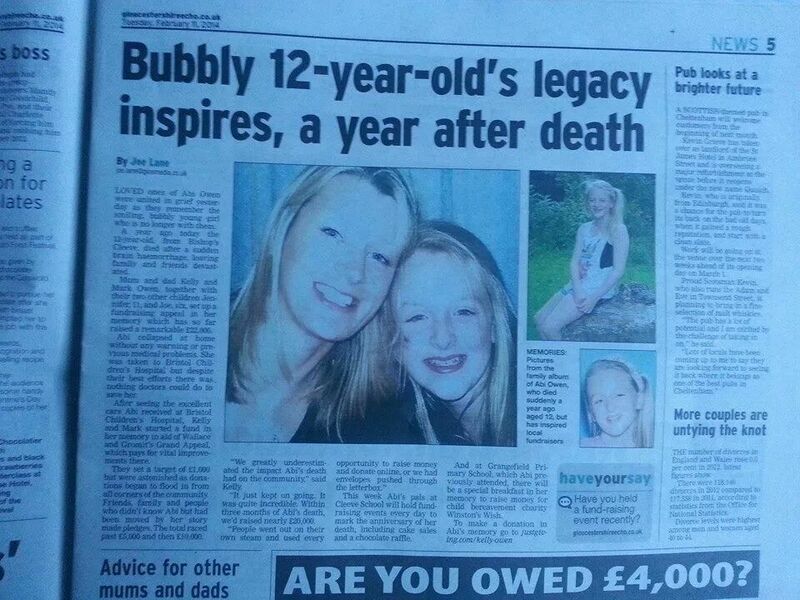 At Abi’s first anniversary on 10th February, my contact at the local newspaper contacted me with an offer to run an update story on fundraising that had been done in Abi’s memory over the year. I was pleasantly surprised that he’d remembered and was happy to oblige. It would be good to once again recognise the work people had done to collectively raise over £22,000 for Bristol Children’s Hospital in her memory. I mentioned this article to an acquaintance who gave me a concerned look and asked if I was okay with it (the Press involvement). I hadn’t really considered that view before but I could see that some people might wonder why we’d willingly ‘sell our story’, as usually the Press was only out for itself… digging up dirt to sell papers.